According to the latest Information Economy Report prepared by UNCTAD, over the past few years “the penetration rate of mobile phones in the world’s least developed countries (LDCs) has surged from 2 to 25 subscriptions per 100 inhabitants”, and is expected that by 2010 the total number of mobile subscriptions will reach 5 billion. But this is hardly a story about numbers and statistics. Beyond the rapid diffusion of these tools within developing contexts, the report emphasizes the transformational potential of mobile telephony in the lives of the most vulnerable populations, who are precisely the hardest hit by the impacts of climate change, and are at the forefront of its unpredictable, yet often devastating effects. According to the report, by enabling access to relevant information on markets and prices that are relevant to local producers, helping to reduce travel –often hazardous in rural areas- and waiting times, strengthen social networks and knowledge exchange, among other, mobile phones are being increasingly recognized as valuable tools in the fight against poverty. But what about the role of these technologies towards climate change mitigation, monitoring and adaptation? 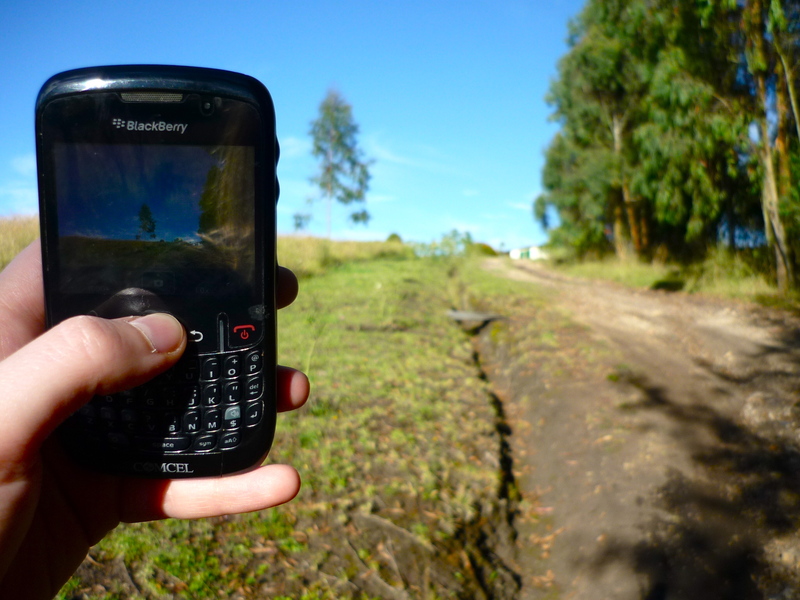 Evidence on these linkages is starting to emerge, suggesting that the role of ICTs towards poverty reduction and the strengthening of local livelihoods is closely connected to their potential in enabling developing country communities to better withstand, recover from, and adapt to the changing conditions posed by climate change –what can, overall, be termed ‘resilience’. There is still much to learn about the role and potential of ICTs in the climate change field, including their effects in strengthening -or weakening- local responses and strategies to climate change-related effects. However, these technologies are integral to processes of experimentation, discovery and innovation, which are, in turn, essential components of learning and key to enable more effective mitigation measures, monitoring, and local adaptive capacities within vulnerable environments. As the United Nations Climate Change Conference (COP16) takes place in Mexico, is important to remember that the role of ICTs within the climate change field is not a story about numbers and statistics, but a story about tools with the potential of transforming lives and empowering the most vulnerable to better prepare for, withstand, recover and adapt to the changing climatic conditions. It’s about understanding that billions of connections to mobile devices worldwide represent an unprecedented opportunity to strengthen local livelihoods, and build the resilience of the poorest to the challenges and the uncertainty posed by climate change. It’s about the potential of ICTs to transform lives, and be themselves transformed into valuable development tools amidst a changing climate.